From Annex: Stanley William Hayter, a chemist by training from Britain, spent most of his life in Paris, where in 1927 he founded an experimental workshop for the graphic arts — Atelier 17 — that played a central role in the 20th century revival of the print as an independent art form. (The name was adopted in 1933 when Hayter moved his establishment from its original home to 17 Rue Campagne-Premiène). In 1940-50 he lived in New York, taking Atelier 17 with him. Hayter returned to Paris in 1950 and re-established Atelier 17, attracting artists from around the world, many now coming from Asia. Hayter had an unrivalled knowledge of the technicalities of printmaking, on which he wrote two major books, New Ways of Gravure'(1949) and About Prints'(1962). His historical importance has long been acknowledged , and his own work has won him recognition as one of the outstanding graphic artists of his time. 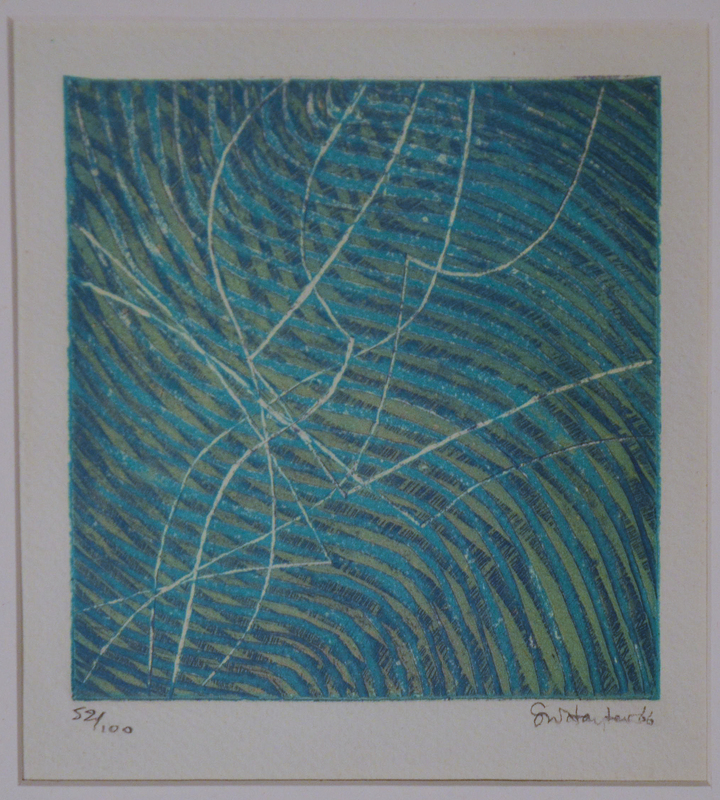 His prints are varied in technique and style, but most characteristically are influenced by the abstract vein of Surrealism and are notable for their experiments with texture and color.